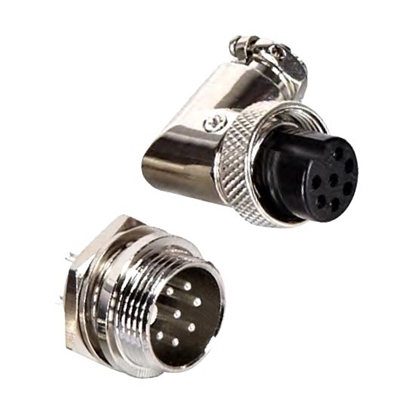 Circular connector is used for connecting component and cable, cable and cable. It is a set of one plug and one socket, has simple and firm locking mechanism, easy to seal, insert and dismantle. Circular connector has 2/3/4/5/6/7 pin to select. Circular connector has simple and firm locking mechanism, easy to seal, insert and dismantle. Circular connector has 2/3/4/5/6 pin, different shapes of plug & socket to select. 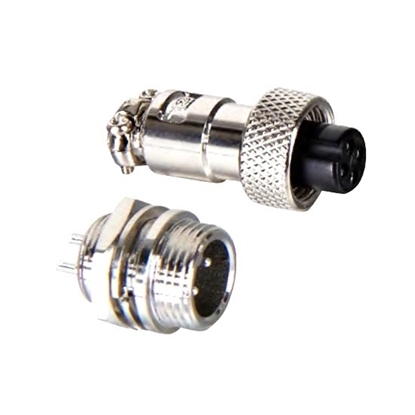 Circular connector is used for connecting component and cable, cable and cable. It has simple and firm locking mechanism, easy to seal, insert and dismantle. Circular connector has 2/3/4/5/6/7/8/9/10 Pin, right angle plug, different shapes of socket to select. 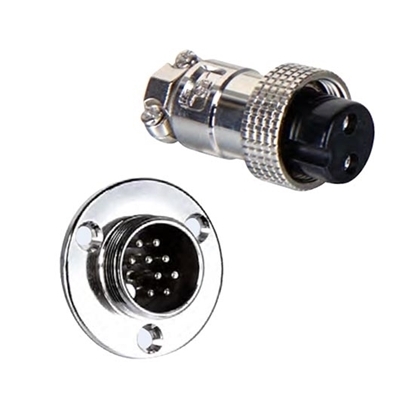 Circular connector is used for connecting component and cable, cable and cable. It is a set of one plug and one socket, has simple and firm locking mechanism, easy to seal, insert and dismantle. Circular connector has 2/3/4/5/6/7/8/9 pin to select. Circular connector has simple and firm locking mechanism, easy to seal, insert and dismantle. Circular connector has 2/3/4/5/6/7/8/9/10/11/12/14 pin, different shapes of plug & socket to select. Promotion: If you buy ≥3 sets of circular connectors (with same parameters) at one time, you will get a great discount (Promotion price is apply to basic parameters. Choose other parameters that have price adjustment, the products price will increase accordingly.). Circular connector has 2/3/4/5/6/7 pin to select. Note: Dust cap is not in the packing list. 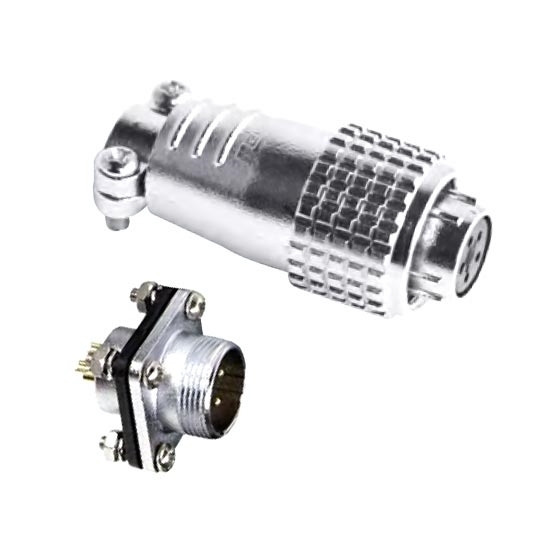 The shell of circular connector consists of joint, shell, locking mechanism and rear cover, and is used to provide support and mechanical protection for built-in insulating mounting plate and contact pins. On the structures of plug or socket there are many locating keys and grooves that are used to provide accurate location when plug and socket are connected. Most of circular connectors have locking mechanisms, which provide connection and locking functions for the connection of plug and socket. Meanwhile, socket (fixed circular connector) also provides fixed device to fix circular connector onto equipment. Shell is made of aluminum, copper and stainless steel. The proportion and performance of materials are subject to different use environments and occasions. 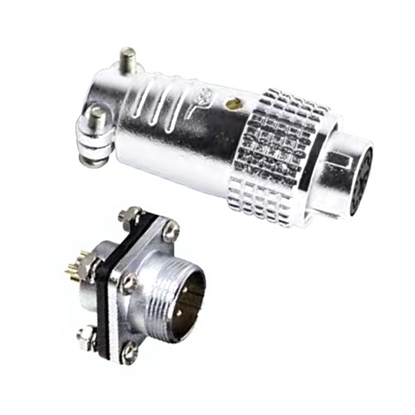 The space flight and aviation industry needs light electrical connector, so its shell is generally made of workable and light aluminum material. 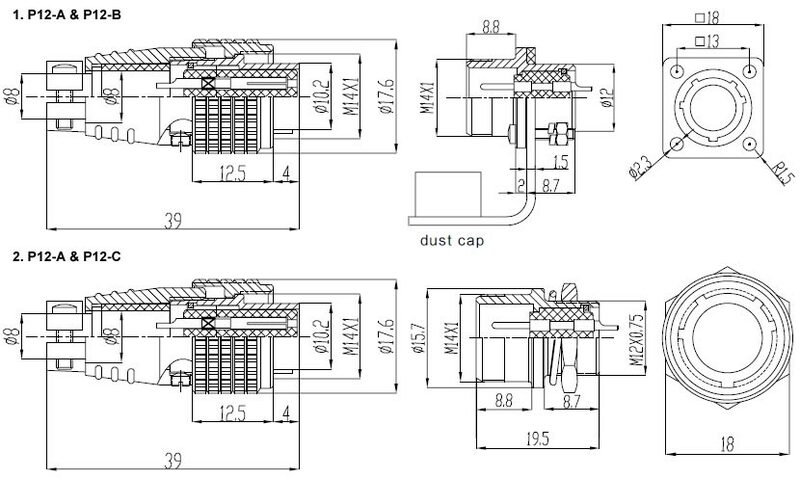 In the video, ATO will take 5 pin M16 circular connector for circular connector assembly instructions.